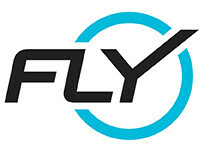 Flywheel indoor cycling classes offer unmatched performance tracking technology, a supportive, welcoming atmosphere, and proven results. Our highly trained instructors are cycling enthusiasts who are committed to helping you succeed. Shoes, towels and combination lockers are all complimentary, making your total experience comfortable from the moment you walk in to the moment you leave. Shoes are provided, but you must bring socks. Bring a water bottle! Late-Arrival Policy: users who arrive five minutes after class start time will not be permitted to enter class. The instruction was good but she moans too much. It was great! Life changing. This instructor is awesome! Dallas Jones is a great instructor all around. Positive vibes, meaningful cues and I especially enjoyed the precise counting and torque directions so we knew exactly what we were doing as opposed to just spin to the rhythm. Thank you!